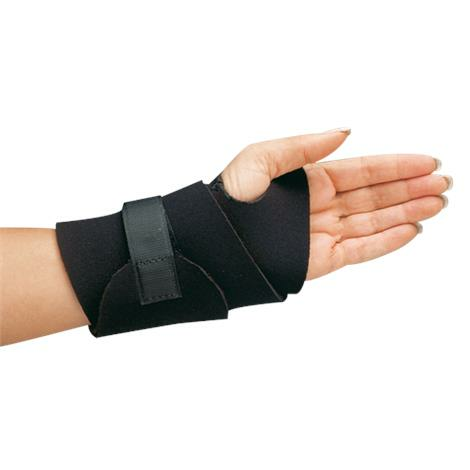 Comfort Cool Full Coverage Wide Wrist Wrap is used for the wrist and forearm. It is constructed of 1/16-inch (1.6mm) perforated neoprene with a soft terry cloth liner. The thin wrap provides support and compression to the wrist and is ideal for soft tissue injuries due to repetitive motion and arthritis. Its wide design provides generous overlapping around the wrist and distal forearm.